Once upon a time, in a world where slave are legalized and labor are paid insufficiently, there was a kid from a low-class society dreamt to conquer a dungeon. It is said that the one who can clear a dungeon will gains a mountain of wealth and power, and the entire magical item inside. One day this young boy, named Alibaba, who worked as a driver of caravan, met a mysterious child inside one of his cart while eating the food he should deliver. This fated reunion turns out to be the turning stone of Alibaba life, as he walked his path of king with his new child-like best friend. 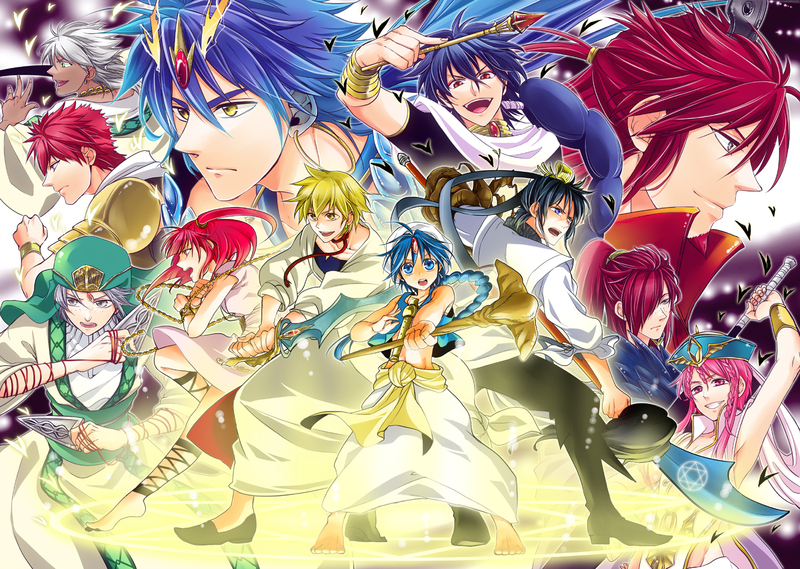 Magi are an interesting story based on the 1001 Arabian Nights legend. The main story is about the journey of a two best friends trying to achieve power. Based on the manga, a new problem will arise as the new character introduced, creating a new plot in the story. The world itself does not take place in the contemporary position, but any more than this would be a spoiler. 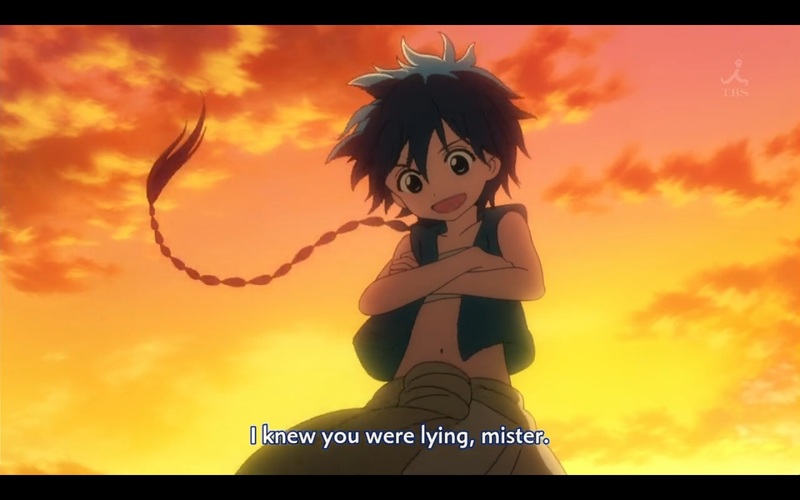 One of the main characters, Alibaba, is a run-in-the-mill kid who works under the tyranny of his superior. To protect himself from losing his job and his future, he became a handshaker toward his senior. Yes, he tried to match up with the environment by agreeing to his boss. 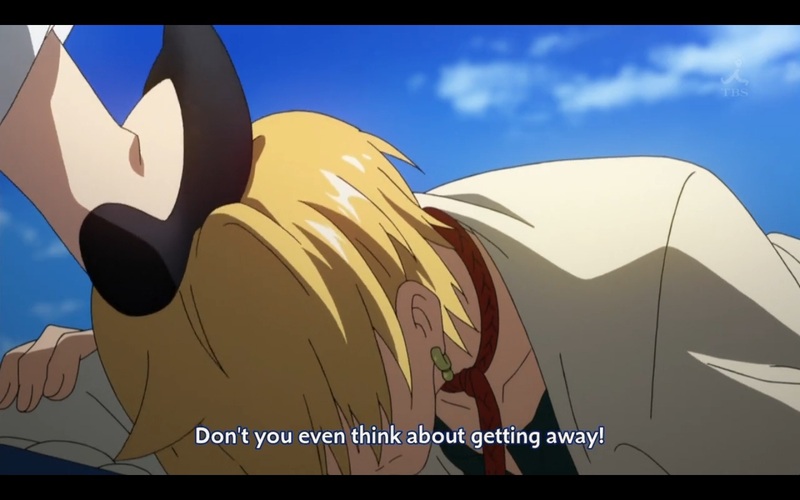 It was pitiful scenery to see, where Alibaba doesn’t try to stand up to his senior. He always has perception of having other do the dangerous job, keeping him safe. But he also doesn’t neglect what his heart says. At this time, he met the midget protagonist in a series of unfortunate event. 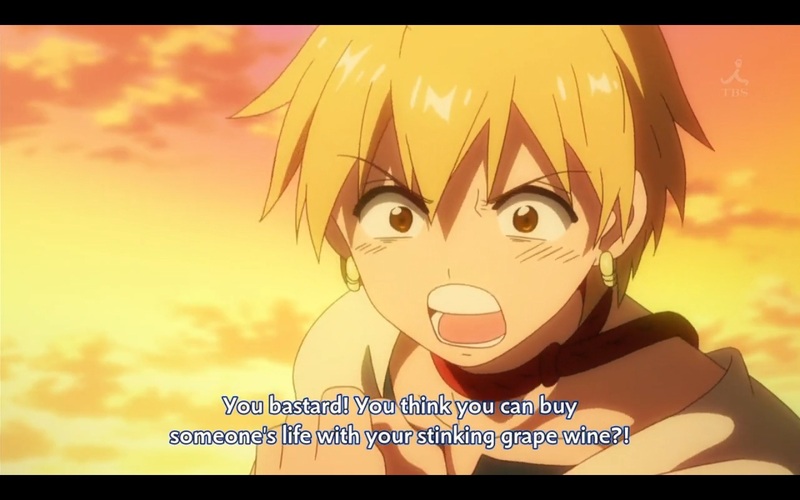 After spending some times, the midget takes liking to Alibaba’s character as he defies the order of his senior to help a child and a women from a monster, while also making the senior take a loss in profit. 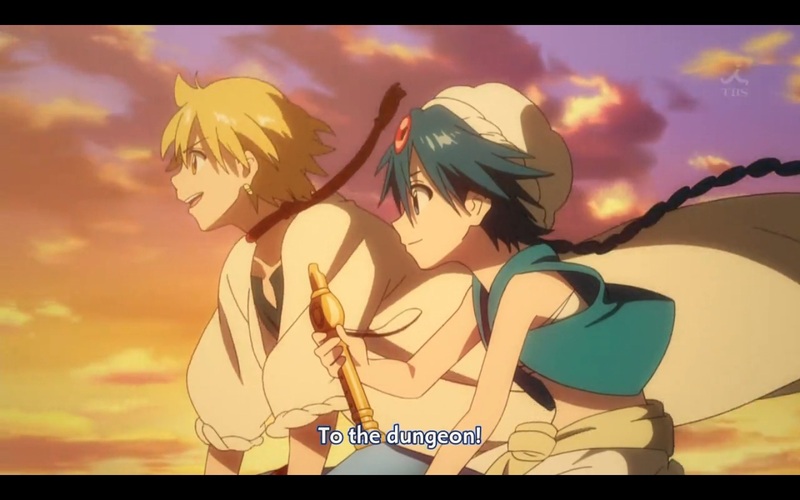 Feeling moved, the ever curios child protagonist decide to go to the dungeon with Alibaba. 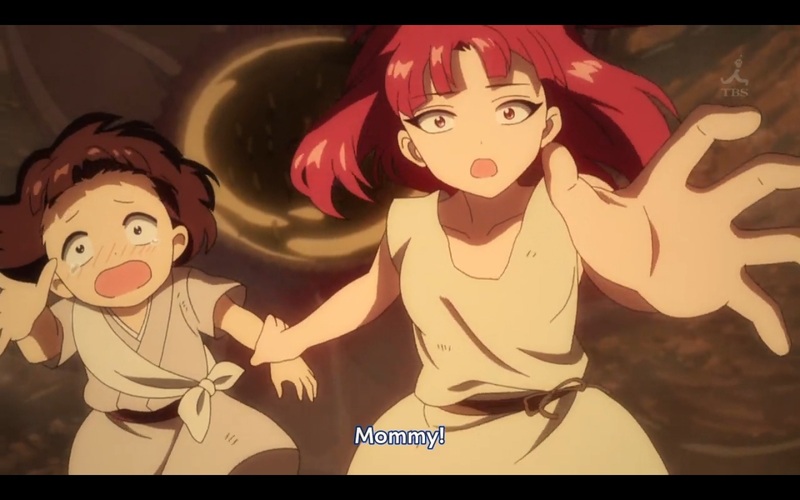 I am most surprised by the opening of this anime. They were able to successfully time the lyric with the animation. Not only that, the animation itself is far more than I have imagined. This gave me the “pumped” feeling inside. As you watch the anime, you will notice that the BGM are very Arabian; strong, mysterious, yet gentle atmosphere that doesn’t quickly change paces. You will also notice the stereotype instrument of Arabian country like flute, drum, and banjo. 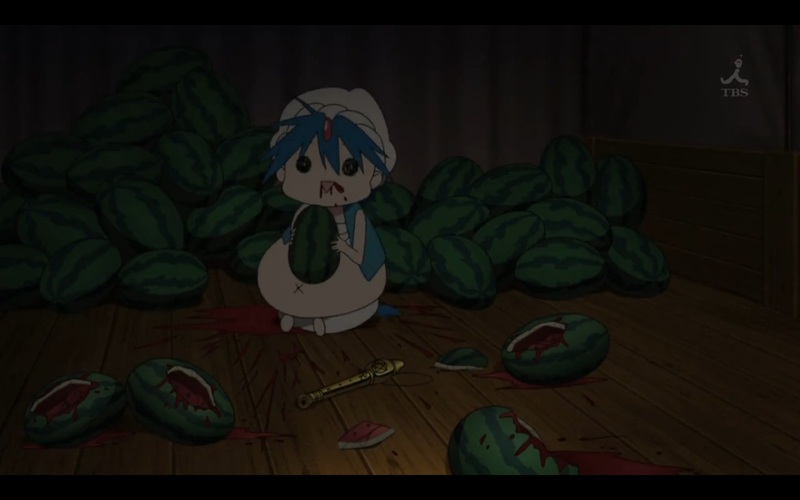 But there is one flaw in the anime. Although the timing of comedy was perfect, the mysterious timing was unable to capture my heart. 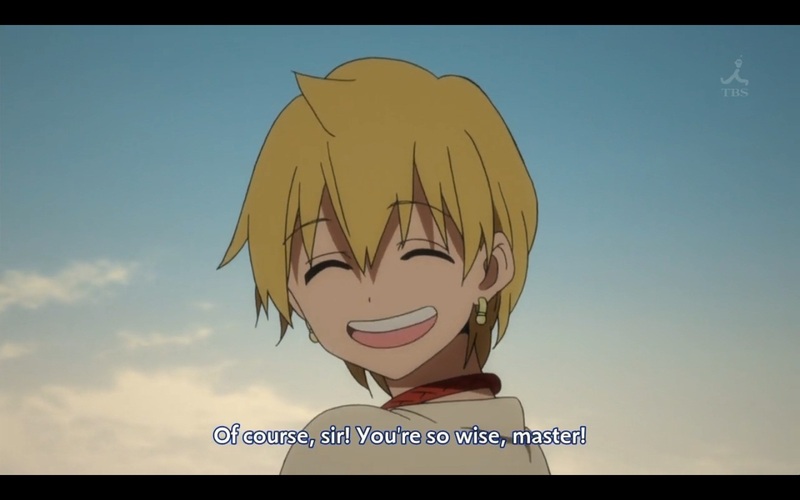 That can be seen in the ending, where the child deliberately show his power too soon as he help Alibaba. And it would seem the story itself does not exactly follow the manga. 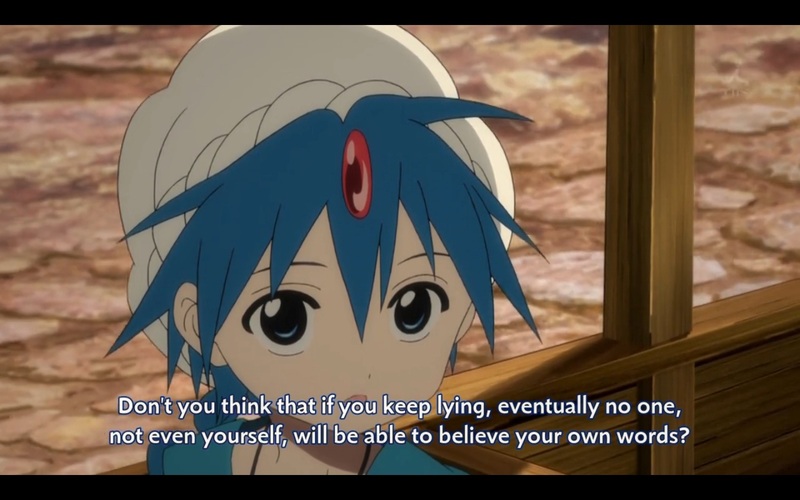 Although different, the anime are able to picture all my imagination, giving me a content feeling. Hopefully, this trait will stay the same as the anime goes on. Hi Saladine, I sent an email to your yahoo mail. Hope that you got it, it is regarding an anime writing opportunity.